John Laurens was a man surrounded by names that became more famous today, he was a man who fought for the true meaning of liberty, he was a revolutionary man during the time of revolutions, he became a man forgotten in history. John Laurens is a man forgotten in history, indeed. 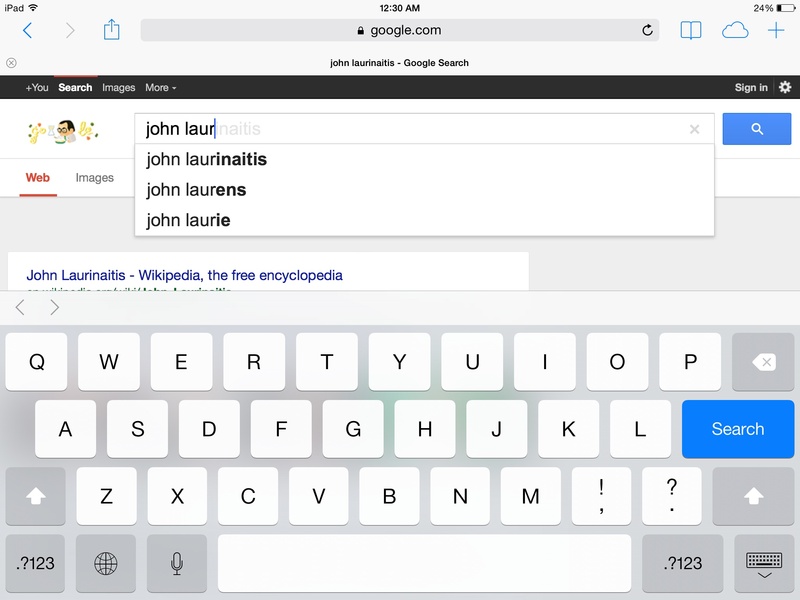 The name of one of the first people to speak out against slavery does not appear on google’s autocomplete until the letters “John Laur” are submitted, and even then he is only the second name to appear (shown to the right) John Laurens deserves to be remembered the same way people today remember other figures from the Revolutionary War. He not only fought alongside with, and became close friends with these better remembered revolutionaries (such as Alexander Hamilton, Marquis de Lafayette, and George Washington) , but Laurens did something that these men wouldn’t dare to do. John Laurens became one the first Americans who dared to speak out against slavery. He even went as far as to propose a plan for slaves to gain their freedom. A 1780 portrait of Laurens, by Charles Willson Peale. I think we Americans at least in the Southern Colonies, mean not contend with a good Grace, for Liberty, until we shall have enfranchised our Slaves. How can we whose Jealousy has been alarm’d more at the Name of Oppression sometimes than at the Reality, reconcile to our spirited Assertions of the Rights of Mankind, the galling abject Slavery of our negroes…If as some pretend, but I am persuaded more thro’ intrested, than from Conviction, the Culture of the Ground with us cannot be carried on without African Slaves, Let us fly it as a hateful Country, and say ubi Libertas ibi Patria [where Liberty is there is my Country]. Continental Army. He served as aide-de-camp to George Washington with the rank of Lieutenant Colonel and grew close with Alexander Hamilton, Marquis de Lafayette, and George Washington. During this time he continued to fight for the emancipation of the slaves. He encouraged those he was close with to free their slaves, arguing that the republican ideals that they were fighting for were hypocritical if slave labor continued. 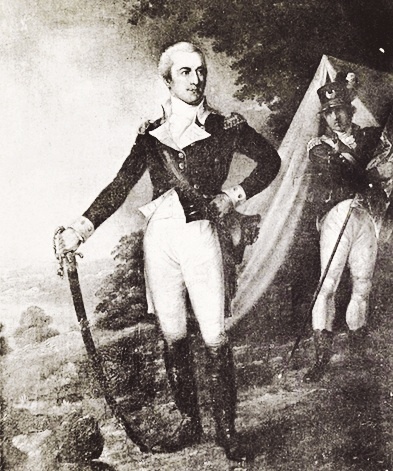 Lafayette eventually freed his slaves, but Washington was more hesitant. John continued his fight against slavery by proposing a plan of emancipation to congress. He requested that Congress allow him to return to South Carolina and recruit a regiment of three thousand slaves to defend the South from British forces. At first, Congress rejected the proposal. Then, after British forces intensified their operations in the South, Congress approved Laurens’ proposal, but the state assemblies of South Carolina and Georgia would have to approve the notion before it would be passed. John faced overwhelming resistance from Governor Rutledge and the proposal was rejected. John was killed in the Battle of the Combahee River in 1782, years before his dream of emancipation was fulfilled. John Laurens believed that blacks shared a similar nature with whites, and that if America was going to fight for republican ideals, then these ideals should be shared by all Americans, no matter their skin color. These beliefs set John apart from other revolutionary leaders. These beliefs make John Laurens a man worthy of more than the footnote he has been attributed. A man ahead of his time, forgotten in time.